28. Nurse Chrisopher is caring for an infant with congenital clubfoot. After the final cast has been removed, which member of the health care team will most likely help the infant with leg and ankle exercises and provide his parents with a home exercise regimen? 29. 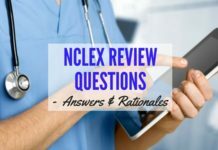 Which statement reflects appropriate documentation in the medical record of a hospitalized client? 31. A client with urinary incontinence asks the nurse for suggestions about managing this condition. Which suggestion would be most appropriate? 32. A client is frustrated and embarrassed by urinary incontinence. Which measure should the nurse include in a bladder retraining program? a. a decreased serum phosphate level secondary to kidney failure. b. an increased serum calcium level secondary to kidney failure. c. water and sodium retention secondary to a severe decrease in the glomerular filtration rate. d. metabolic alkalosis secondary to retention of hydrogen ions. 34. Which is the correct term for the ability of the kidneys to clear solutes from the plasma? 35. A client is admitted with nausea, vomiting, and diarrhea. His blood pressure on admission is 74/30 mm Hg. The client is oliguric and his blood urea nitrogen (BUN) and creatinine levels are elevated. The physician will most likely write an order for which treatment? a. Start I.V. fluids with a normal saline solution bolus followed by a maintenance dose. b. Administer furosemide (Lasix) 20 mg I.V. d. Start hemodialysis after a temporary access is obtained. 36. 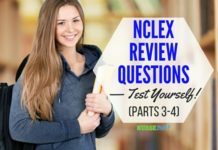 Which of the following would the nurse expect to find when reviewing the laboratory test results of a client with renal failure? 37. A nurse assesses a client shortly after living donor kidney transplant surgery. Which postoperative finding must the nurse report to the physician immediately? 38. A nurse is reviewing the history and physical examination of a client with a suspected malignant tumor of the bladder. 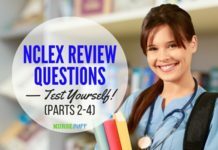 Which finding would the nurse identify as the most common initial symptom? 39. After teaching a group of students about how to perform peritoneal dialysis, which statement would indicate to the instructor that the students need additional teaching? 40. Which of the following is a characteristic of a normal stoma? 41. To assess circulating oxygen levels, the 2001 Kidney Disease Outcomes Quality Initiative: Management of Anemia Guidelines recommends the use of which of the following diagnostic tests? 42. A nurse is reviewing the history of a client who is suspected of having glomerulonephritis. 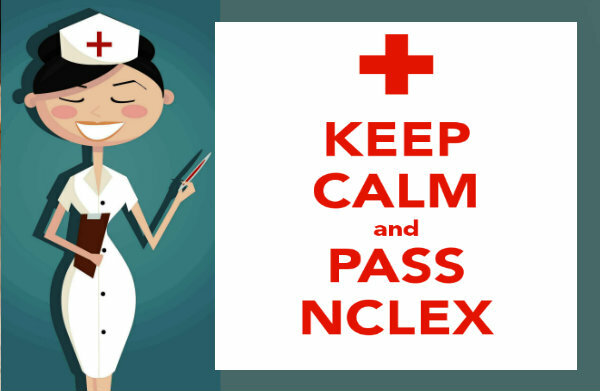 Which of the following would the nurse consider significant? 43. Which type of incontinency refers to the involuntary loss of urine due to medications? 44. The nurse is to check residual urine amounts for a client experiencing urinary retention. Which of the following would be most important? a. Catheterize the client immediately after the client voids. b. Check for residual after the client reports the urge to void. c. Set up a routine schedule of every 4 hours to check for residual urine. d. Record the volume of urine obtained. 45. The client asks the nurse about the functions of the kidney. 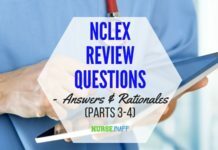 Which should the nurse include when responding to the client? Select all that apply. 47. A client with renal failure is undergoing continuous ambulatory peritoneal dialysis. 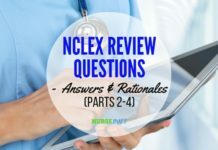 Which nursing diagnosis is the most appropriate for this client? 48. When preparing a client for hemodialysis, which of the following would be most important for the nurse to do? a. Check for thrill or bruit over the access site. b. Warm the solution to body temperature. c. Inspect the catheter insertion site for infection. d. Add the prescribed drug to the dialysate. 50. A client undergoes extracorporeal shock wave lithotripsy. 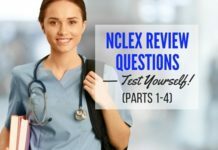 Before discharge, the nurse should provide which instruction?